Delivering engaging, highly interactive end-user experiences is a complex problem. Developers and operations engineers understand that they need to augment their static object caching strategies with solutions to deliver dynamic content faster to end points. But as applications become progressively more dynamic, existing solutions are hitting a wall and are unable to keep up with the transport demands that dynamic content imposes. 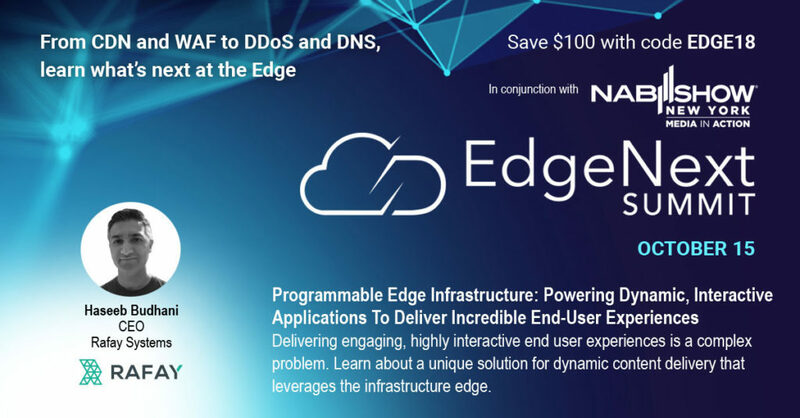 At the EdgeNext Summit, taking place Monday October 15th in NYC, Haseeb Budhani, CEO of Rafay Systems will discuss a unique solution for dynamic content delivery that leverages the infrastructure edge.